Changes to building regulations in June 2005 have introduced more stringent fire safety precautions for shared accommodation buildings in Victoria. The improved safety regulations are aimed at reducing the occurrence and severity of fire related injuries. The Building Regulations 2006 introduced further exemptions to the requirements. Maintenance: To meet specified performance criteria. AS4072.1 Components for the protection of openeings in fire-resistant separating elements. The standard refers to a control joint as A joint, between or within discrete elements of construction that allows for relative movement of the elements. AS 1530.4-2005 "Methods for fire tests on building materials, components and structures". Fire-resistance test of elements of construction which contains the procedures for the doing the evaluations. AS 1530.4-2005 Methods for fire tests on building materials, components and structures - Fire-resistance test of elements of construction. The fire rating for AS1530.4 is called the Fire Resistance Level (FRL). It is designated in minutes, and is noted discretely for three performance criteria: structural adequacy, integrity, and insulation. For example a load bearing wall might have an FRL of 120/120/120 meaning it satisfies the standard to a minimum of 2 hours for all three criteria. Where a criterion is not applicable, the value is indicated with a dash. For example, a control joint, might have an FRL of --/120/120, since it is a non-load bearing element. Similarly for the insulation portion in AS1530.4, a failure is noted as an average unexposed temperature, as measured by thermocouples, of more than 140K above initial. Simultaneously, no single location should be more than 180K above the initial. UL2079 sets these limits at 139K and 181K respectively. When these values are exceeded in the AS1530.4 test, the insulation portion of the test is finished although the test can be continued for the other ratings. Following the completion of our works, a detailed report can be provided detailing the services rendered and assuring that the works completed meet the Australian Standards as set by the BCA (Building Codes Australia). Certificates of Compliance can be provided at the completion of works. 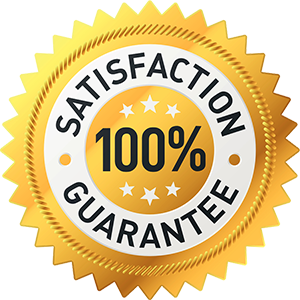 "BFP Have achieved a reputation of high quality service, rapid response and customer satisfaction through the professional systematic approach our technicians bring."